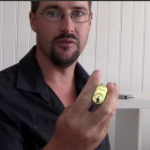 Hi, I’m Jarrod the owner of excellent locksmiths & I started out in the locksmith trade 20 years ago working in the area of St Kilda & the surrounding suburbs. The focus of what I do has been around residential & commercial locks. Today I offer a wealth of experience & professionalism due to my years of experience. It’s a win win for you: you get my experience, plus you get it at a better rate than my competitors. Call today & get $20 off your next locksmith work requirements.